It is update time in the Apple world or it will be shortly. 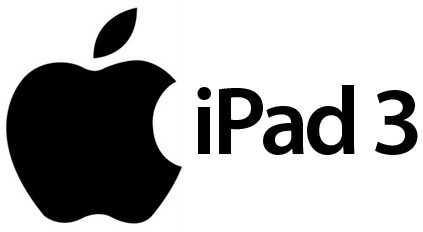 A lot of us are wondering what that might mean in terms of the iPad. Let’s see if we can hazard a couple guesses of what might be coming to the table. Thinking that this new tablet which would be the third revision would be called iPad 3, let’s see what might be on the horizon. One of the first possibilities we see is more emphasis being placed on the camera world. There is talk that the camera might be more in line with the cameras that one sees on the iPhone. The cameras found on the iPad2 were not in the same league as the cameras found on the iPhone 4. Though nothing is written in concrete, possibilities exist that the camera on the front might be HD for certain calls and the main camera used in the unit would be similar if not the same as the one found on the iPhone 4 or the iPhone 4S. Actually it is just a matter of time before we find out. How Apple will set the pricing is always an interesting conjecture. As of right now, it looks as if the iPad 2 will drop to around $399 and the next iPad will be priced above that. If you agree with the rumors, it will be very similar in the design of the iPad 2, but it might be a little thicker. While many people will be wondering when this new tablet might be available, it looks as if it will show up sometime in the March timeframe, just in time for an early spring launch. This fits in to about a year later than the iPad 2 was released. It will be interesting to see what information comes out over the next couple of months, so stay tuned for news from Apple. 0 Respones to "Possible Coming iPad Changes On the Horizon"